Carey Olsen Charities Committee have worked hard in raising money for 3 charities which they nominated and these were Guernsey Cheshire Homes, Les Bourgs Hospice and the GSPCA. They rose a total of £25,000 which they shared between the three charities. We received £8,242,93p. 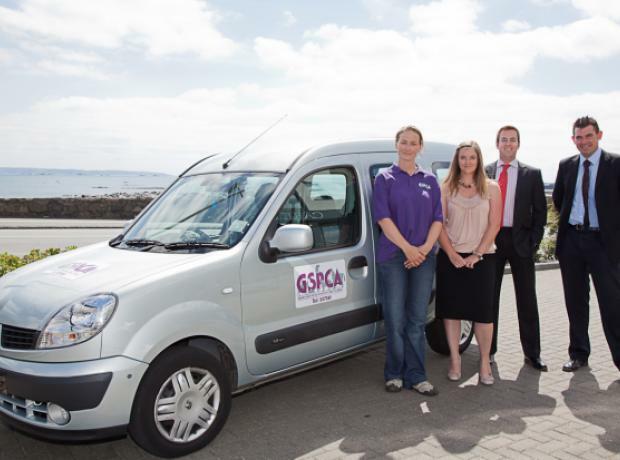 The money paid for a new van for Lorna Prince (Welfare Manager) to enable her to do her much needed work on the island to help animals in need and the remainder is going to improve facilities for animals at the shelter.